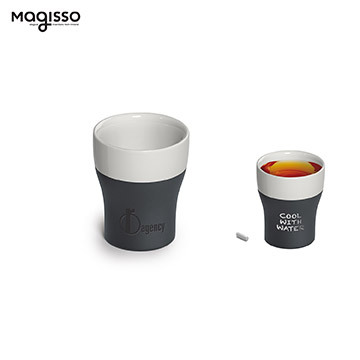 4-piece award-winning shot glass set in dishwasher safe cooling ceramics will keep your shots cold. Simply soak the ceramic in water for a couple of minutes to begin the cooling process. You can also personalize it with a touch of your own chalk and creativity.